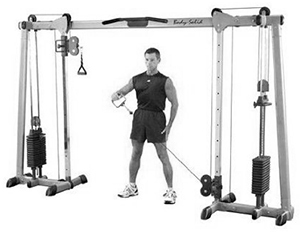 Our workout equipment is complete to train all your body muscles. We have several individual benches and a full set of dumbbells from 4 to 40 kilos and barbells with all sets of weights. Independent height adjustments and 180 degree cable positioning you can work on all areas of your body. Muscle trained: arms, shoulders, chest, back and legs. 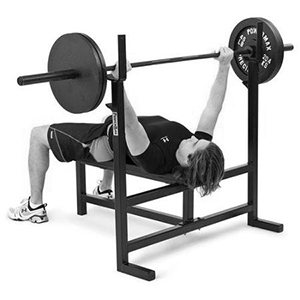 This chest press is lighter version of the bench press. Muscles trained: chest, shoulders and triceps. 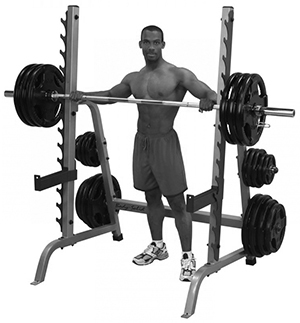 This is one of the most popular exercises in the gym. 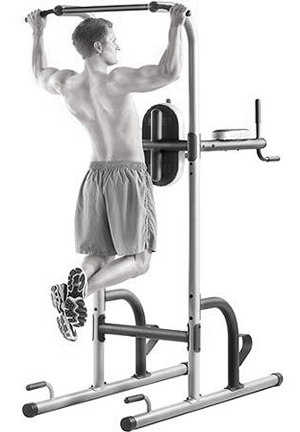 The chin-up/pull-up bar works the arms and back, push-ups place focus on your chest, while the vertical knee raise station targets your core and abs. Twin dip handles are ergonomically spaced to help give a great dip workout to strengthen arms and shoulders. Muscles trained: chest, shoulders, arms, back and abs. 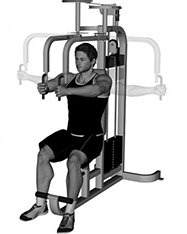 This machine targets your lats which are these large muscles located in the outer part of your middle back, starting from several vertebrae in the lower and middle spine and wrapping around under your armpit to attach at your lower ribs. Muscles trained: lats, deltoids and biceps. 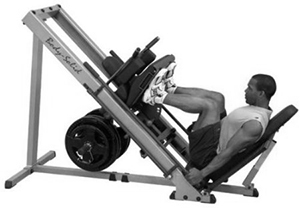 For leg development, the leg press is as close to squatting (generally considered the best all-round exercise for leg development) as you can get but is a far safer and more comfortable exercise to perform. It is suitable for all users as it has multiple adjustment options to account for leg length as well as individual flexibility. 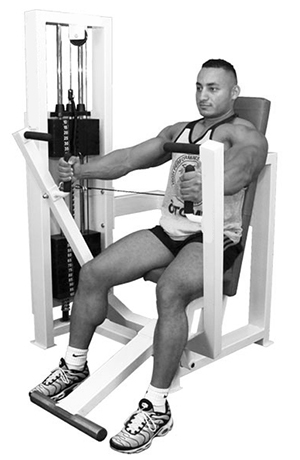 The machine converts quickly and easily to the Hack Squat option which is a superb bonus too as this exercise isolates predominantly the front of the legs (quadriceps). Muscles trained: all the major leg muscles. 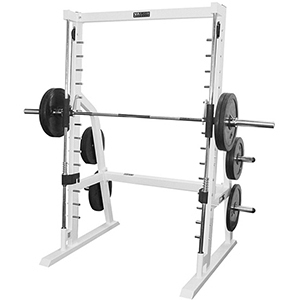 Multi use rack which allows you to perform a number of heavy duty lifts, including squats, military press, bent over row, various bench presses, partial deadlifts and pulls if you use an Olympic Bar. 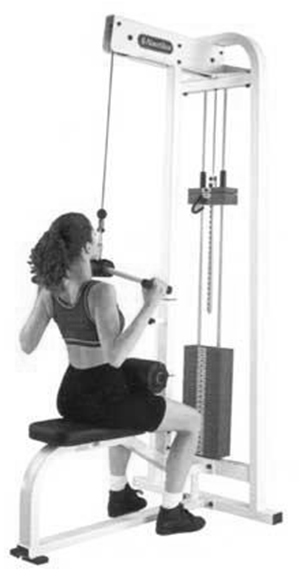 The machine allows for range of motion adjustments to give a full, deep stretch, while uniquely designed articulating pec arms provide optimal pectoral and rear deltoid development. Muscle trained: chest, back, shoulders, pecs and rear deltoids. 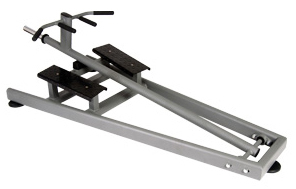 Expand your workouts with this machine. Exercises possible: squats, calf raises, shoulder shrug, chin-ups, or use a dumbbell bench to do bench press, incline press, military press. Muscles trained: chest, back, legs, shoulders and arms. A row is a pull-type, compound exercise which works primarily your middle back, but also works your Latissimus and muscles in your arms. Muscles trained: back, lats and arms.